Cattle minerals play a vital role in every phase of cattle growth and development, starting with reproduction. This time of year, as forage begins to disappear, it’s particularly crucial to make sure your cattle are on a nutrition plan that contains high magnesium to ensure against situations like grass tetany, weaker calves, stiffness or lameness, and decreasing calf rates. 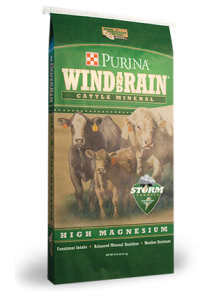 Purina Hi Mag Cattle Mineral is a great option for cattle owners. 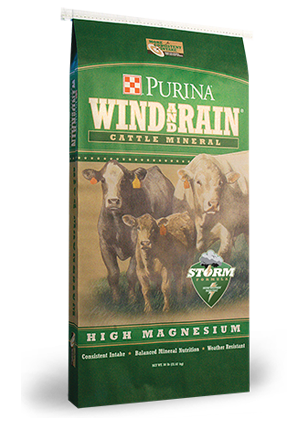 We carry a wide variety of nutritional supplements for cattle, including Purina Wind & Rain High Magnesium cattle mineral. We have it at Bar None Country Store as a loose mineral in 50lb. bags. The loose mineral is formulated to keep the mineral from absorbing water and from blowing out of the feeder. This entry was posted on Thursday, November 1st, 2018 at 7:05 pm	and is filed under Cattle, News & Updates. You can follow any responses to this entry through the RSS 2.0 feed. Both comments and pings are currently closed.